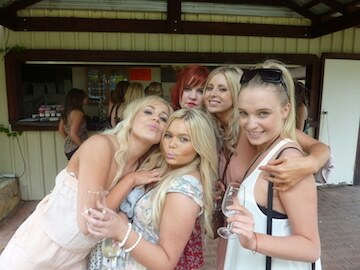 4 Reasons a Swan Valley Wine Tour is the go-to for a girls’ day! Whether it’s your birthday, your hen’s day, or just a really good day, a Swan Valley wine tour, really is the best way to celebrate with the girls! In our latest blog, we tell you why. Getting together with the girls for an afternoon invariably involves having a glass (or several!) of wine. Which is why planning such an event usually starts with figuring out how you are going to get there and back, contemplating whether you’re going to drive or Uber, or wondering if anyone will offer to give you a lift. You may find yourself thinking, “If I drive, I can only have one wine… How much will an Uber cost me there and back? Am I too old to ask my Mum to drive me in? Maybe my man will drop me in and pick me up. I wonder if Amy’s going to drive.” Sound familiar? Even thinking about it can be exhausting – Are we right? On top of this, you have to make sure your phone holds its charge, so you can book the Uber when it’s time to come home! A Top Gun Tours wine tour has your transport covered! – We’re already feeling more relaxed just thinking about it. Have you ever found yourself not knowing which wine to order, hoping you don’t choose the wrong one and ending up a victim of buyer’s remorse? We hear you! With hundreds of wines available on a wine tour, the choices are endless. So, does it really matter if you taste a wine you don’t like? Nope… You can always try the next. From sparkling, to white, to pink and to red, you have plenty of varieties to choose from. 3. Your Swan Valley wine tour – Your tunes! Sometimes, there’s nothing worse than going to a nightclub or pub with the goal of getting down and jiggy with it, only to find that the music is well…non ‘jig-worthy’. It’s disappointing to say the least, and usually there’s nothing you can do about it! Well, with our Swan Valley tours, you can bring and play your own. Simply connect your smart phone or iPod, or bring a USB with your pre-prepared playlist locked and loaded and you’ll be having a great time in no time. – No complaining about bad music here! Having to think about splitting bills, working out who ate what and who owes who at the end of a group outing can be awfully painful, particularly when you’ve had a few glasses of wine! Because who enjoys tipsy calculating? – We know we don’t. Luckily for you, we thought of this when putting our wine tours together! Our Hen’s Party Wine Tours include everything from transport, wine tasting and food samples, to a two-course lunch. With no car to worry about, an endless wine selection, your own tunes and no tipsy calculations, you can see why a Swan Valley wine tour really is the best way to celebrate with the girls. But you didn’t really need convincing, did you? And did we mention that the Swan Valley is only 25 minutes from Perth? So, why wouldn’t you organise a wine tour with the girls? What are you waiting for? Visit our bus tours page to check out the range of tours we offer, or contact us to find out more today! 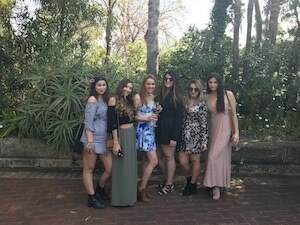 Posted in Tours and tagged girls day, group functions, wine tours Swan Valley on 19th January 2018.